Four-hundred years. Infant Willow Black was sent four-hundred years, to today, this time and place, a place “without magic.” A place where she and her sisters, triplets all, can be safe. But now, Willow is an inmate of the Northern Wisconsin Mental Health Facility – i.e., the loony bin. Not so safe after all. To save their daughters from slaughter at the hands of McHugh, an evil, vicious “witch hunter” Henry and Pru willing gave their lives in the flames of the pyre in order to send their daughters forward in time – to a time when no one believes in witches. But the thing is, now time is rolling back around again – and the evil of those who call themselves “hunters of evil” yet are truly the most evil of all, have brought McHugh back into the world, spreading slaughter and fire in their wake. Today, magic has been overrun by technology. But Wiccans still exist – Wiccans, whose one immutable law is “Harm None”. The followers of McHugh, the Venatores Mali, are so cruel that those who harm none are considered evil by those who commit the most evil of deeds in the name of so-called ‘good’. Such twisted minds, that ritual slaughter of innocents is considered godly. McHugh is back. Reborn into the world, his followers gathered around him. And now, the three girls, Raye, an Air Witch, Becca, an animal communicator, and now Willow, Water Witch and the third of the triplets, must work together to stop the Hunters, to send McHugh back to the darkness. 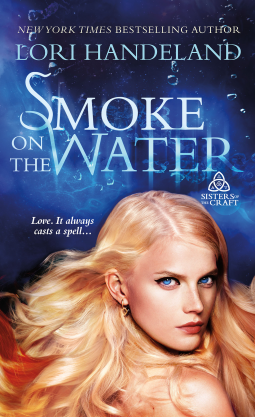 This is the third, and final, book of the Sisters of the Craft series. You can read my reviews for books one and two at tinyurl (dot) com/p8yvpat . I enjoyed all three of the books. They easily fit within the Paranormal Romance category, but they can also fit well within Urban Fantasy. The storylines are interesting, the characters well designed, and the meld of history and fiction is quite good. I received this book from the publisher in exchange for a realistic review. All thoughts are my own. If you enjoy my reviews, please click “Like” at goodreads and Amazon so that my reviews will draw more attention for the authors. Thank you! So, this is not a Deep Purple piece?